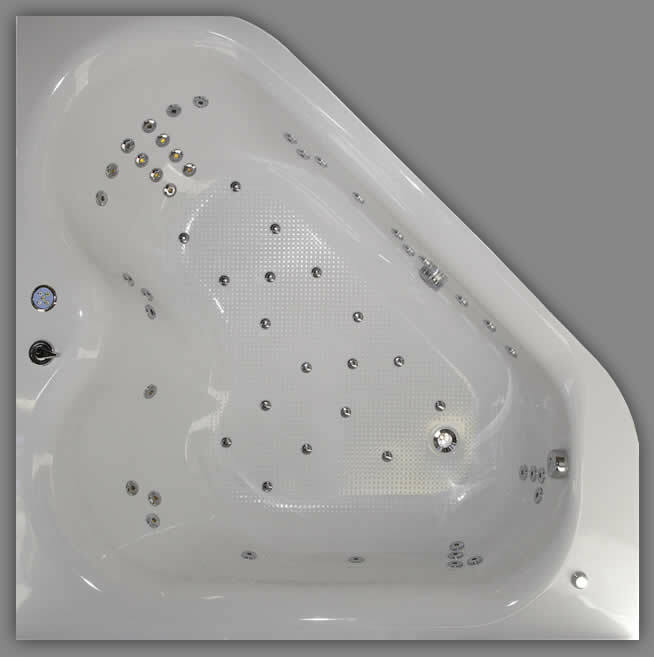 Hydro-Sensations™ is the name we have given to the Hydrotherapy/Spa jets that provide the bather with a lovelly bubbling & soothing effect that comes from the base of the bath. What's the difference between Hydropools & Whirlpools? Many customers ask this question & the answer is a simple one. 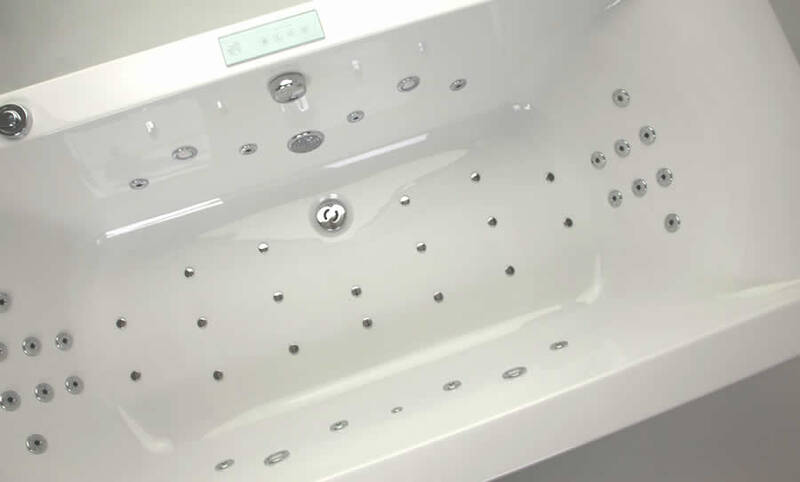 Whirlpools have very powerful jets that are located around the sides & ends of the bath. They are designed to invigorate the bather with a strong massaging effect that can be used to target specific areas of the body. Hydropools have jets that give the bather a more generalized massage from the base of the bath. They provide the bather with a less vigorous massage from whirlpool jets & are designed to give a more relaxing experience for the bather. 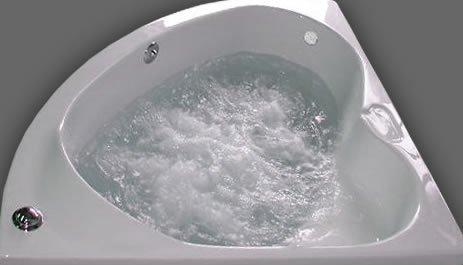 Hydroppol & whirlpool jets can both be fitted to the same bath & can be used in conjunction with each other if desired. Hydroptherapy was introduced to Britain in 1842 & was used for medical practices due to the potential that water can have on the human body. Many modern day practitioners use Hydrotherapy or Water Therapy to treat patients with varing muscular & skin complaints. Certain patients with mental health issues are also treated with Hydrotherapy. 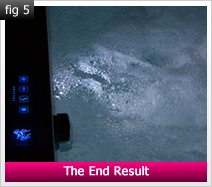 Our Pegasus Hydrotherapy systems are designed to be utilized in the exact same way. Athletes & Physical Therapists are among those who regularly use Hydrotherapy for the theraputic qualities it has. To keep things as simple as possible we have made a series of graphical diagrams that show you how our Hydropools work. Below are brief descriptions that accompany the diagrams. 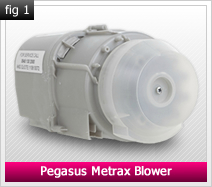 If your Pegasus Whirlpool bath has Hydropool or Spa jets, it will also have an electronic blower fitted. The blower is used to provide an injection of air into the pipework that will ultimatly become the bubbles that rise from the base of the bath(fig 1). 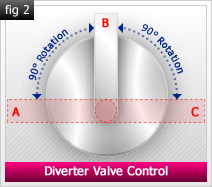 Controling the flow of air within a hydropool system is done by a diverter valve. The diverter control is a lever/dial that can be between position A & position C. If the lever/dial is in position A then the Hydropool is off & the spa jets will not have any bubbles coming from them. If the lever is in position C the diverter valve is fully open, the blower is switched on & the spa jets will be blowing bubbles. The diverter lever/dial can also be located in position B so you can have the Hydropool & Whirlpool jets both on simultaneously(fig 2). 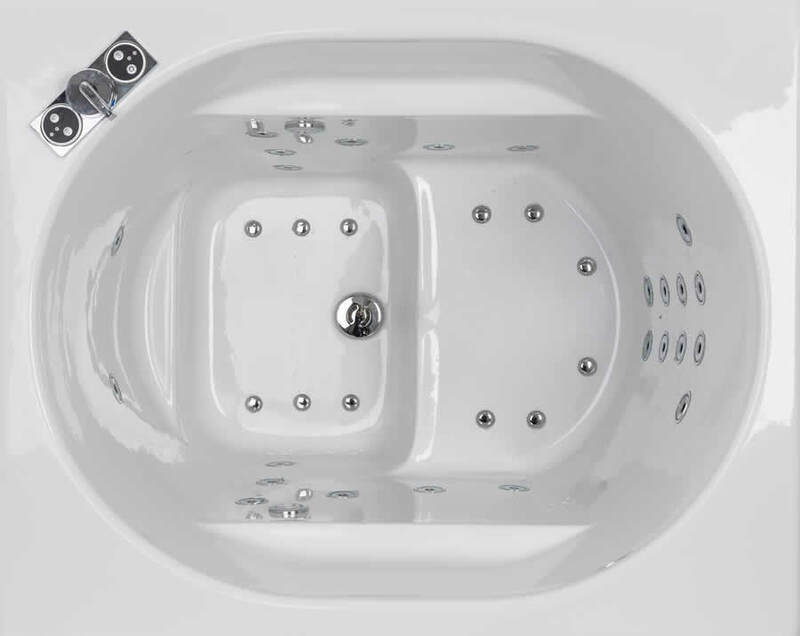 The Hydropool system on a Pegasus Whirlpool bath has been developed over 20 years & has been designed especially for use along side our fully draining 4G whirlpool pipework. We beleive that our Peagsus Hydropool pipework is the finest in this industry for quality & functionality. 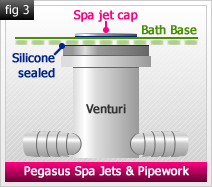 Each spa jet is attached to the base of the bath via a screw in venturi & are sealed using a silicone sealant that provides a perfect water tight finish(fig 3). 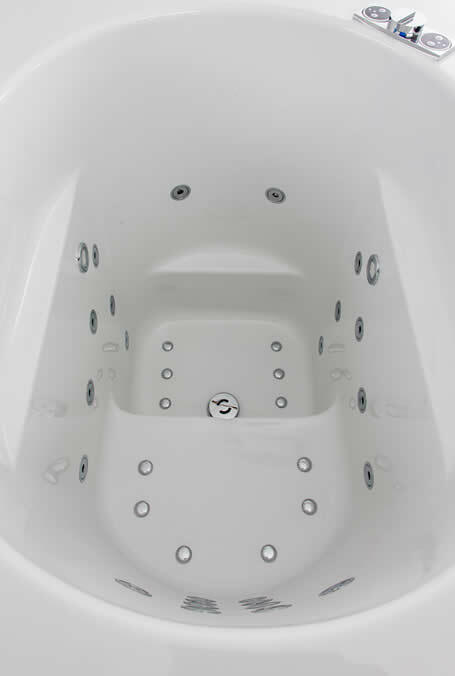 The spa jets on a Pegasus Hydropool are located in the base of the bath. They are the small, round "click on" chrome coated, plastic caps that allow air to flow into the bath & become the water bubbles for the Hydropools massaging effect. They are a very simple device although they are a crucial element in providing the overall, desired effect(fig 4). 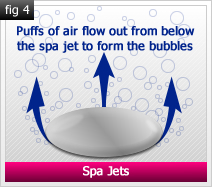 The air that has been generated by the blower now exits the Spa jets in the base of the bath which results in strong flowing bubbles pulsating upwards into & around the bather. This process has been describe as a "flotation" effect & can be regulated by the diverter valve control situated on the side of your Pegasus Whirlpool bath(fig 5). We have nothing to hide when it comes to hygiene & we are very proud of our unique 4G pipework system - so proud in fact that we are more than happy to let you & our competetors inspect the design of our pipework before you buy. 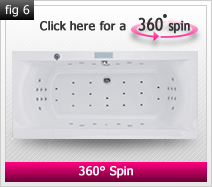 Click here for a 360° spin of a Pegasus Sensations™ whirlpool bath & 4G pipework. 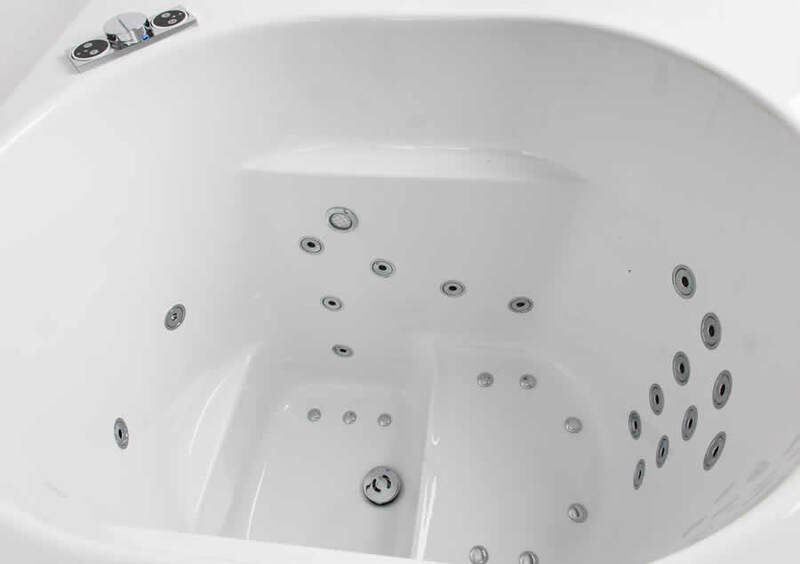 All Pegasus Hydrotherapy adds an additional 18 nozzles in the base of the bath which inject air into the water giving a buoyant effect and also adds a further three massage options: Spa, Combination Whirlpool & Spa, & Hydro-pool (Turbo Whirlpool & Spa). Pegasus Hydrotherapy is a a very popular choice with our customers. 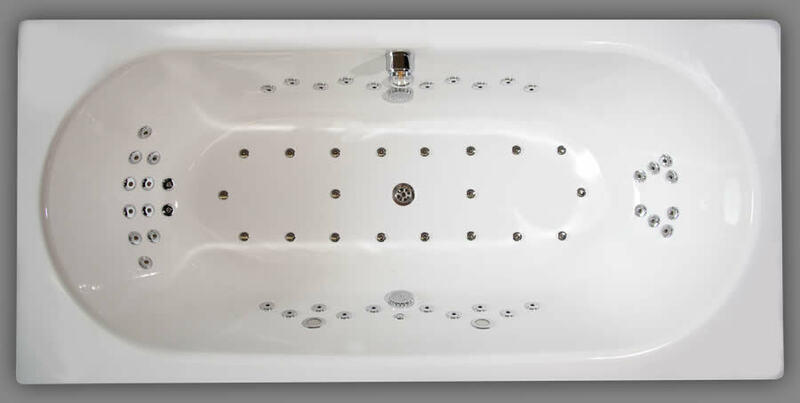 We can add hydroterpay to any type of bath including BETTE steel, deep soaking baths or any bath of your own desire. Pegasus Whirlpool Bath are proud to be British. 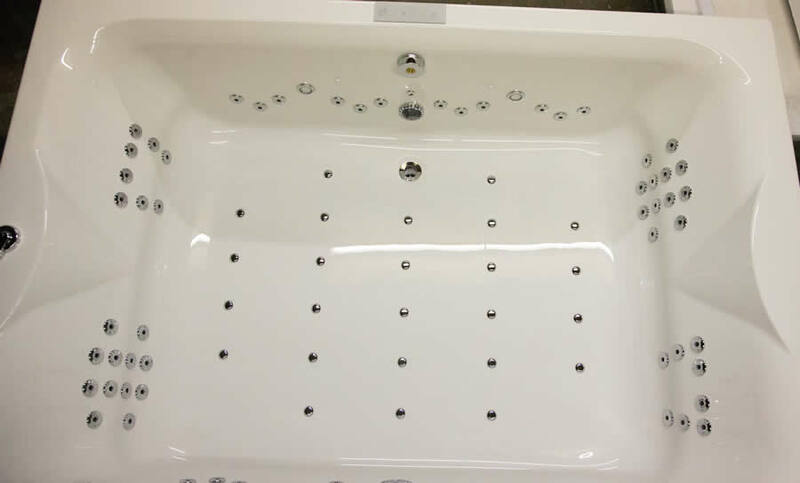 All our whirlpool baths are manufactured in the UK by our experienced whirlpool bath technicians and are quality tested before leaving our workshop.